Thursday, February 28, 12 – 1 p.m. In Part 3 of the Drexel LeBow Online Open House Series, hear from LeBow professor, Mike Howley, as he shares his perspective on the benefits of online learning, the classroom experience, and how to engage with LeBow faculty as an online student. The Drexel LeBow Online admissions and student services team will be available to answer any questions about the programs and the admissions process. Part 1: Which Online Graduate Business Program is Right for You? Join us for a general overview of the LeBow College of Business online graduate programs, including the Drexel LeBow Online MBA, MS in Business Analytics, Post-Baccalaureate Certificate in Business Analytics, and MS in Sport Management. Discover what it’s like to be an online student here at Drexel LeBow. We’ll cover the online student learning environment, experiential learning opportunities, and the student support services available to our students. Hear from LeBow professor, Mike Howley, as he shares his perspective on the benefits of online learning, the classroom experience, and how to engage with LeBow faculty as an online student. 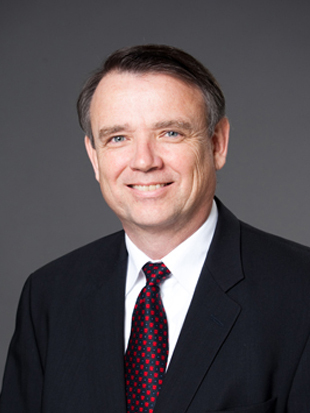 Mike Howley is a Clinical Professor at the LeBow College of Business. Prior to becoming a business professor, Mike worked for 2 decades as a clinical Physician Assistant (PA), working for 9 years delivering primary care to underserved areas of rural Maine and 11 years in critical care and surgical services. He also has 5 years of experience in practice management and as a business owner. Professor Howley is interested in how to measure and then manage service quality. His previous research has demonstrated how to improve the quality of clinical trials and patient care. His research also includes how care is influenced by technology used within the service processes and reimbursement. “Trends and Variability in Total Shoulder Arthroplasty Utilization in Medicare Patients,” with Benjamin M Zmistowski, Eric M Padegimas, Joseph A Abboud, Gerald R Williams, & Surena Namdari, Journal of the American Academy of Orthopaedic Surgeons, forthcoming, accepted April 11, 2017. “The Drivers of Medicare Reimbursement for Thoracolumbar Fusion: An Analysis of Data From The Centers For Medicare and Medicaid Services,” with Krishn Khanna, Kushagra Verma, Benjamin M Zmistowski, & Eric Padegimas, Spine, forthcoming, accepted March 6, 2017. “Work-Life Balance for the Health Professions Educator,” with Patrick Auth, chapter in The Health Professions Educator: A Practical Guide for New and Established Faculty, editors Gerald Kayingo & Virginia Haas, Springer Publishing, forthcoming, accepted February 7, 2017. “Medicare Reimbursement for Total Joint Arthroplasty – What are the Driving Forces?” with Eric M Padegimas, Benjamin M Zmistowski, Kushagra Vema, Julie L Shaner, & James J Purtill, Journal of Bone and Joint Surgery, Vol 98(12), 1007-13, June 15, 2016, (Impact factor 5.2). “The Long-Term Financial Impact of EHR Implementation,” with Edgar Y Chou, Nancy Hansen, & Prudence W Dalrymple, The Journal of the American Medical Informatics Association, Vol 22(2), 443-452, March 1, 2015, (Top 10 most-read articles of 2015, Impact Factor of 3.5). “How to Prevent Patient Centricity from Becoming a Fad,” with Peter Malamis, Applied Clinical Trials, Vol 25(2), 24 – 28, February 1, 2016. “Quality Drivers in Clinical Trials Conduct,” with Peter Malamis, Applied Clinical Trials, available at http://www.appliedclinicaltrialsonline.com/quality-drivers-clinical-tria…, July 14, 2015. “From Theory to Bedside and Back: Relationship Marketing and Medical Care,” chapter in Handbook of Relationship Marketing, edited by Robert M. Morgan, Janet Turner Parish, & George Deitz, Northampton MA, Elgar Publishing, January 30, 2015. “The Quality of Clinical Trials,” Applied Clinical Trials, with Peter Malamis, January 13, 2015, available at http://www.appliedclinicaltrialsonline.com/quality-clinical-trials. “Metrics Malpractice,” Pharmaceutical Executive, available at http://www.appliedclinicaltrialsonline.com/appliedclinicaltrials/Blogs/H…, May 27, 2014. “High Performing Study Startups,” Applied Clinical Trials, with Peter Malamis, Vol 23(6), 20-28, June 2014. “The Next Generation of Clinical Trial Performance Measurement,” Applied Clinical Trials, available at http://www.appliedclinicaltrialsonline.com/appliedclinicaltrials/CRO%2FS…, February 27, 2014. “Performance Measurement You Can Use (and believe).” Clinical Leader, with Peter Malamis, available at http://www.outsourcedpharma.com/doc/clinical-trial-performance-measures-…, October 10, 2013. Which Online Graduate Business Program is Right for You? Join us for a general overview of the LeBow College of Business online graduate programs. Discover what it’s like to be an online student here at Drexel LeBow.